Patented ribbed pillow top design. Beautifully upholstered in ultra soft, durable and breathable Caressoft Plus . Extra thick seat and back cushion. Pneumatic gas lift provides instant seat height adjustment. 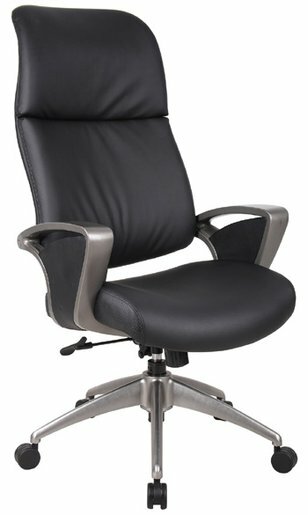 Adjustable tilt tension assures the right reclining tension. Upright locking control. Durable polypropylene armrests. Large 27″ nylon base for greater stability. Hooded double wheel casters. Seat Height adj: 19.5 – 22.5″ H.
Overall size: 27″W x 31.5″D x 43.5″- 46.5″H.